Joe, born and raised in Grand Rapids, Michigan, and a long time resident of Arizona, passed away peacefully on Friday, April 22, 2016 after fighting a long battle fighting a serious recurring VRE infection. Joe spent his life working as a cook, employed at the old Chez Ami Lanes on 54th Street and Division and Spectrum Lanes in Kentwood, Michigan and Arizona Joe’s in Apache Junction, Arizona. He was a great shot in a game of pool, enjoyed classic rock music and loved animals – especially small dogs. 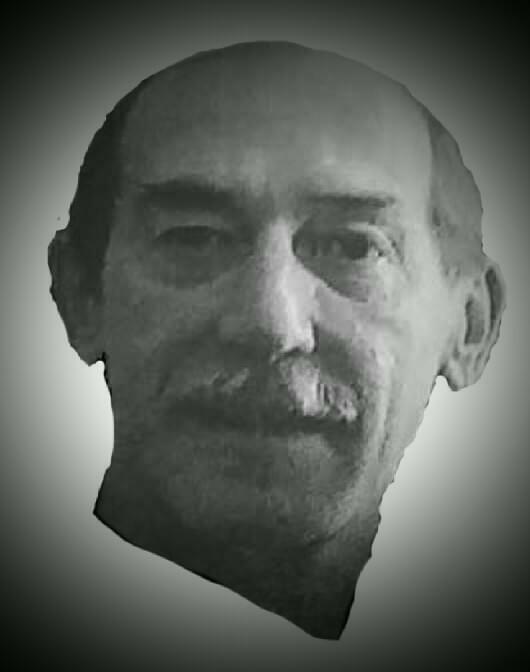 He is survived in life by his daughter, Misty Rebec and her family; his grandchildren, Michael and Melissa Zazzo; his brother, Daniel Bouchard, and his wife, Patricia; his uncle, Jack Tibbets and his wife, Pat; and many cousins. Joe had no natural born children, but over the years he adopted many children of the heart and their families including Jenny Mays Selders, Mandy Ates, Jeremy Field, Virginia Rodriguez, Nikki Pollack and probably many more. He was also blessed to have many loving friends back in his hometown and in Arizona that will miss him dearly. He is preceded in death by his loving wife, Susan Annette Bouchard, his father, George James Bouchard, his mother, Mary K. Bouchard, his brother, Richard Joseph Bouchard, his very special aunt, Agnes Lorraine Bouchard and many more aunts and uncles. A Celebration of Life gathering will be held Saturday, April 30, 2016 at 1:00 PM at the home of Jack & Jeanette Field, 9365 E. Dallas St, Mesa, AZ 85207. On May 14, 2016, a private memorial will be held in Michigan at the home of his brother, Daniel and his wife, Patricia, at a time to be announced. A GoFundMe account has been set up to help the family with final expenses (https://www.gofundme.com/u8yf5emk). Misty, Pat and Dan, we continue to lift you up in prayer that God will give you strength and comfort. We will miss Joe. He was very special to us. We can’t recall a time when he didn’t have a smile on is face. Misty, Dan and family. My condolences to you and your family. Joe and I lived across the street from each other when we were little kids. He was always a “prankster” and having fun. He used to carry a small garter snake in this pocket and scare the daylights out of my mom. She knew he had it, but she was still always surprised each time. We unfortunately lost touch after high school as we went our separate ways. Joe and his family were very nice neighbors. My prayers are with you and your family at this difficult time and know that your dad is now at peace. My heartfelt condolences to the family, losing a loved one death is such a painful experience. I hope you can find comfort in God’s promise at John 6:40, which tells us that soon we will be able to see our loved ones again.